The presentation is based on interviews in the nomadic Mbororo pastoralists of Chad in the Lake Chad. These interviews were done in under Mbororo sub-group called Mbimbe Woila. When faced with unexpected weather events, pastoralists have to take decisions that may have impacts on their cultures, livelihoods and relationships with other neighbouring communities. The Mbororo pastoralists are cattle herders, with one of the greatest ranges of transhumance on the African continent. 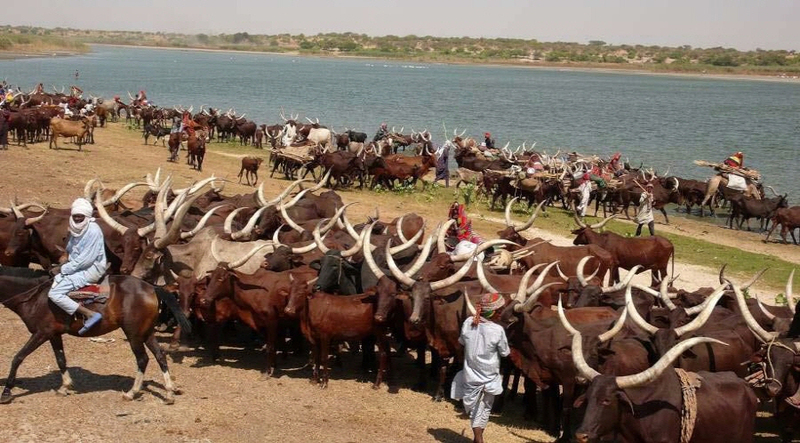 During periods of drought, Mbororo pastoralists have to adapt by changing the composition of their herds or travel longer distances, sometimes in excess of 1000 kilometres, in search of pasture. The decision to move cattle across landscapes can trigger problems with farmers who are also facing weather stress. The presentation acknowledge the first outcomes of community-led research on pastoralist knowledge and responses to drought in Lake Chad. It also present the outcomes of an innovative collaboration, spearheaded by the Indigenous Peoples’ of Africa Coordinating Committee (IPACC) with African government, UN agencies and NGO partners. IPACC’s initiative draws on the fact that both climatologists and nomadic herders use predictive knowledge systems (one scientific, the other traditional and based on actual nature observation), to estimate medium-term (one to ten year cycles) climate and meteorological behaviour. The initiative brings the two knowledge systems together to provide for a stronger approach, based on a joint strategy of scientific atmospheric forecasting and nature based observation and forecasting to improve food security in dryland pastoralism, provide early warning and reduce risks.